This week in the news we all learned of the discovery of the USS Indianapolis WWII battleship in the Pacific. 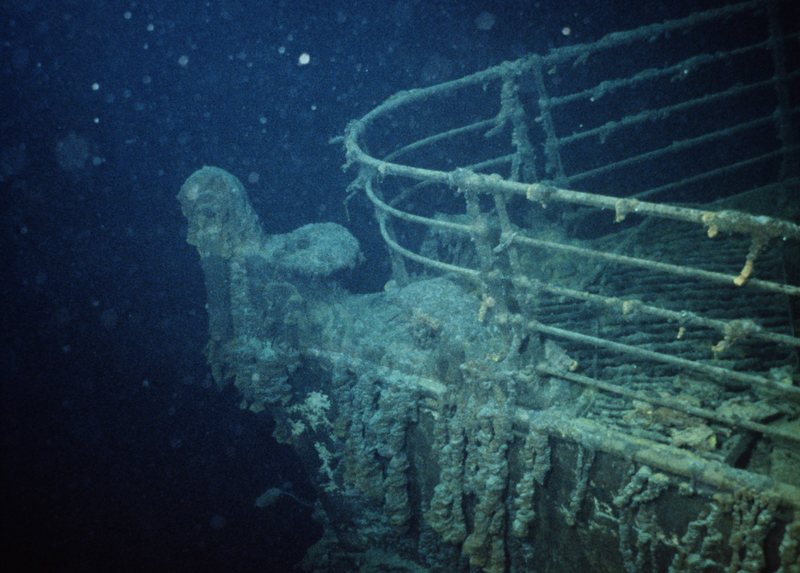 The news footage was amazing, and of course reminiscent of Titanic’s wreckage found by similar technology back in 1985. In 2000 we were selling a product called The Executive Producer ® (TEP). It was a logging software that did live cataloging with thumbs and timecode, or after the fact from tape, to index where on the tape specific clips of interest were located. One afternoon we sold two TEP Windows licenses and then moments later we sold two TEP Mac licenses, all 4 to an organization called Woods Hole Oceanographic Institution (WHOI). This was fairly unusual because the software was rather expensive and was usually only bought one at a time or for one platform or another. At that time you still had to literally ship software to people on diskette or DVD – forget about downloading it from the internet! Before we shipped the boxes out I wanted to be sure this customer hadn’t accidentally purchased multiple copies so we picked up the phone and called Bill Lange. The more we talked the more I realized how cool of an adventure he was about to go on and that our software would have a front row seat on the ride. Bill explained that they were preparing for a trip to the bottom of the ocean, to the most notorious ship to ever sail – the Titanic. Bill was (and still is) the Director of WHOI Advanced Imaging and Visualization Laboratory. He told us that the purchases were intentional (yay!) and that they would be using them on ship while surveying the Titanic. They would be cataloguing the video footage from the ocean floor. Along with Win and Mac TEP they would be taking USB video capture devices for analog video to get the playback on the computer screen and to snag the thumbnails. The bundle also included RS422 serial cables that allowed video deck control such as Sony Betacam Video Tape Recorders (VTR) not only to control, but to play and job shuttle as well as acquire the timecode position from the tape. The resulting video log could have printable thumbnails, timecode position and notes. 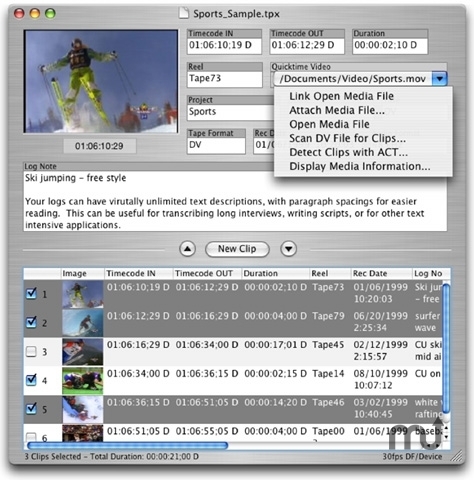 Loggers of this era were often used not only to provide reports, but to output digitizing lists (files) for the editors to capture the footage of interest into the NLE systems. Hard disks weren’t large back then so it was important to only capture what might be useful in putting together a video, and avoid digitizing a lot of unnecessary footage. Woods Hole Oceanographic Institution has been a long time user of Imagine Products’ applications—everything from analog video logging software, HD acquisition, offloading and conversion tools, to ODA archiving with PreRoll Post™ system today. Imagine has been there. Literally. It’s always amazing to me what many of our users do and where they go. Our software has been sold and used on all 7 continents, yes, including Antarctica (but that’s a story for another time). Many of these adventurers travel to exotic places and it’s humbling to know we’re an enabling part of that. Helping them document and share what they experience, and in a small way be part of history.